Siobhan MacDermott leads the Global Cyber Public Policy team. She is responsible for Bank of America’s participation in programs dedicated to improving cyber resiliency of the global financial system including thought leadership, engagement, geopolitical risk analysis and contingency planning. Siobhan joined Bank of America in July 2016 after serving as Risk and Cybersecurity Principal at EY (formerly Ernst & Young), and consulting to Fortune 500 boards on cyber. Prior to EY, she was the Chief Information Security Officer for Utilidata, Inc. and Chief Policy Officer for AVG Technologies. Siobhan helped direct strategy, government relations, global policy and executive communications for a number of financial services and technical companies across the globe. In addition, she’s an accomplished author, with a sixth book expected in early 2018. Senior Fellow of the Edward R. Murrow Center for a Digital World at the Fletcher School of Law and Diplomacy at Tufts University and serves as a Board Member for the Center for Global Risk and Security at the Rand Corporation. Management and a Global Master of Arts in Law and Diplomacy from the Fletcher School at Tufts University. She has worked in eight countries and speaks five languages. Alex Dimitrief is Senior Vice President and General Counsel of GE and President and CEO, Global Growth Organization (GGO). In his role as General Counsel, he is responsible for overseeing a global team dedicated to GE’s legal matters, compliance, governmental affairs, and environmental health and safety. In his GGO role, Alex is responsible for driving GE’s international growth by connecting cross-business capabilities and building localization strategies that address critical needs in the 180 countries where GE does business. Alex joined GE in 2007 as Vice President for Litigation & Legal Policy. He held several leadership roles in GE’s legal and compliance functions including VP & General Counsel of GE Energy from 2011-2012 and SVP & General Counsel of GE Capital from 2012-2015. In 2015, Dimitrief was named the General Counsel of GE, and played an integral role in GE’s transformation and reorganization of its financial services businesses. Prior to joining GE, Alex was a trial lawyer at Kirkland & Ellis LLP, a White House Fellow in the Reagan Administration's Office of Political and Intergovernmental Affairs, and an Honors Intern at the Department of Justice. Alex graduated from Yale College with a B.A. in Economics & Political Science and earned his J.D. at Harvard Law School, where he was the Managing Editor of the Harvard Law Review. He presently serves on the Board of the Ronald McDonald House Charities. He and his wife Jill have three children and are actively involved in supporting numerous charitable organizations. 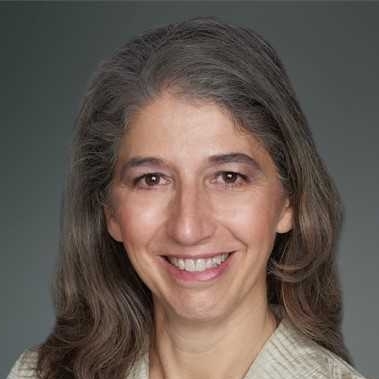 Pascale C. Siegel is a Managing Director at Ankura who brings 20 years of experience in international affairs analysis specializing in socio-political and cross-cultural communications issues. Pascale oversees research poles on Europe/Russia and geo-cyber issues. She leverages her analytical skills, regional expertise, professional networks, and overseas living experience to offer timely and objective analysis on threats, risks, and opportunities across her domains of responsibility. She is based in Washington, DC. Pascale has a ABD in political science, a MPS in security studies, and a BA in history and political science from the University of Toulouse, as well as an AD in journalism from the University of Tours. Partha Bose is a Partner and Chief Marketing Officer, and provides global leadership for the marketing functions within Oliver Wyman. He drives the firm’s collective efforts to build equity in the brand and provides leadership to strategic and operational marketing activities across the business units and geographies. Prior to joining Oliver Wyman, Partha spent 18 years in leadership positions at professional services firms. He was a partner at McKinsey & Company in London and New York, where he was also the Editor-in-Chief of the McKinsey Quarterly; a senior partner at The Monitor Group in Cambridge, MA; and Global Marketing Director for Allen & Overy, one of the world’s largest law firms, based in their London headquarters. For three years he ran his own strategy consulting practice, advising five of the world’s leading US and European law firms on strategy, organizational structure, and operational restructuring. President Business leaders and investors turn to Longview Global Advisors for a relevant world view, and DJ Peterson’s mission is to help them monitor and make sense of the political, economic, and social trends they care about. In 2013, DJ founded Longview Global Advisors, a consultancy that works with clients on a range of tasks from strategic planning to market intelligence to thought leadership, and executive positioning. To tackle their needs, the firm draws on a network of over one hundred country, sector, and issue experts around the world. With this wellsourced team, Longview develops insights that “bring the outside in” and enable executives to think and talk about the world, not just the business. DJ has advised firms in a range of sectors, including financial services, insurance, consumer goods, automotive, industrial products, energy and mining, life sciences, technology and telecommunications, and professional services. Rob is an Expert Associate Partner in the Boston office of McKinsey & Co and a leader at QuantumBlack, the UK-based analytics firm McKinsey acquired in 2015. Through McKinsey and QB, he serves clients seeking to understand and quantify risk, fight fraud and financial crime, and improve performance through analytics. Before McKinsey, he was a partner and President of Sentinel Applied Analytics. Sentinel provided strategy and risk analytics advisory services to government agencies and Fortune 500 companies in the US, EU, and LATAM. It was acquired by Novetta, a Carlyle Group company, in 2014. Rob currently serves on the Board of Directors for ShelterBox USA, the US-affiliate of the ShelterBox Trust, an international disaster relief NGO providing emergency shelter in the aftermath of natural disasters and other crises. He was in the 2014 class of AlphaTech, a Goldman Sachs and Morrison Foerster-backed technology accelerator. Before joining McKinsey, he also served as a Startup Advisor to Dcode, a government technology accelerator. He holds an MA from the Fletcher School of Law & Diplomacy and a BA from the University of Virginia. Brandon is the Group Personal Insurance Operations Executive at AIG, where he is responsible for operationalizing business strategy in priority markets. Brandon has over 16 years of experience working in international business. His career has spanned from finance to underwriting and regional management, to running large-scale global transformational programs and overseeing the operations of global insurance product lines. He has lived and worked overseas in Australia, Brazil and France. Brandon holds an MBA from the Wharton School at the University of Pennsylvania, a Master’s Degree in Law & Diplomacy from The Fletcher School at Tufts University, and B.A. degrees in Economics and Political Science from Syracuse University. 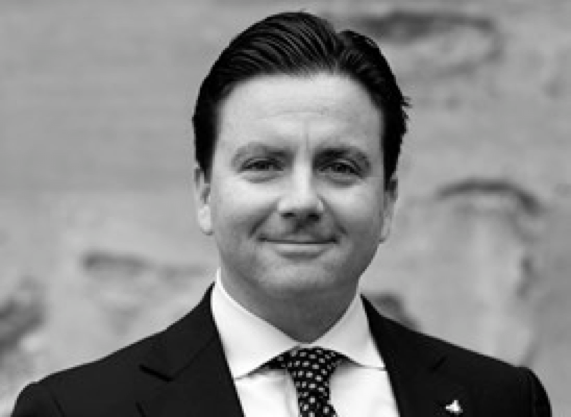 Mr. Seamans serves as the Chief Investment Officer and Chief Compliance Officer of SCM. He founded the Firm in 1986, which began as a strategic advisor to companies and institutions on interest rates, currencies and commodity prices. The Firm achieved strong investment results on its mining and conventional energy investments from 2002 to 2012. Convictions about the costs and environmental benefits of renewable technologies led Mr. Seamans to begin investing in renewable energy and related technologies in 2013. He was previously a Managing Director and Senior Group Vice President for Scudder, Stevens & Clark, Ltd. in Boston, Massachusetts, now part of Deutsche Bank, where he directed tax-exempt bond research, policy and investments totaling $3.9 billion. He received his BA from Duke University in North Carolina, and his MBA, with distinction, from the Wharton School of the University of Pennsylvania. He is a Chartered Financial Analyst. Daniel Wagner is the founder and CEO of Country Risk Solutions. He has three decades of experience managing cross-border risk, including a dozen years of underwriting experience with AIG, the Asian Development Bank, and World Bank Group, and as a corporate risk manager for GE. Daniel has lectured at more than 15 universities around the world, is a regular speaker at conferences, and a frequent commentator on global affairs in visual media. Daniel has authored four books – “Virtual Terror”, “Global Risk Agility and Decision Making”, “Managing Country Risk”, and “Political Risk Insurance Guide” -- and has published more than 500 articles on current affairs and risk management in a plethora of platforms. Mr. Kelly is a versatile business leader and strategist. He brings to Crumpton Group’s clients over two decades of experience educating senior leaders in the public and private sectors on information and communications technologies. Prior to joining CG, Mr. Kelly advised advising executive leaders in government and industry on the strategic implications of emerging technology, cyberspace operations, global influence, and international governance regimes. He holds an MA in International Relations and Economics from Johns Hopkins School of Advanced International Studies (SAIS) and a BA in Government from Georgetown University. Cenk has been global risk executive for 12 years before launching GlobalWonks in 2016 and leading the startup as CEO. With his extensive experience assisting top financial institutions, multinational corporations, risk management firms, and legal firms operating in high-risk regions, he is driving GlobalWonks to become the future of consulting. Sidar has written for, been interviewed by, and worked with the world's leading newspapers and media organizations, including the Wall Street Journal, New York Times, CNBC, Bloomberg, Foreign Policy, CCTV and Al Jazeera. Sidar has also addressed audiences around the world, including at UK House of Commons, Cornell, Tufts, Johns Hopkins (SAIS) and CFR.